Set in the attractive Bodington Gardens on Birmingham Road, The Smithy is one of Sutton’s oldest buildings. 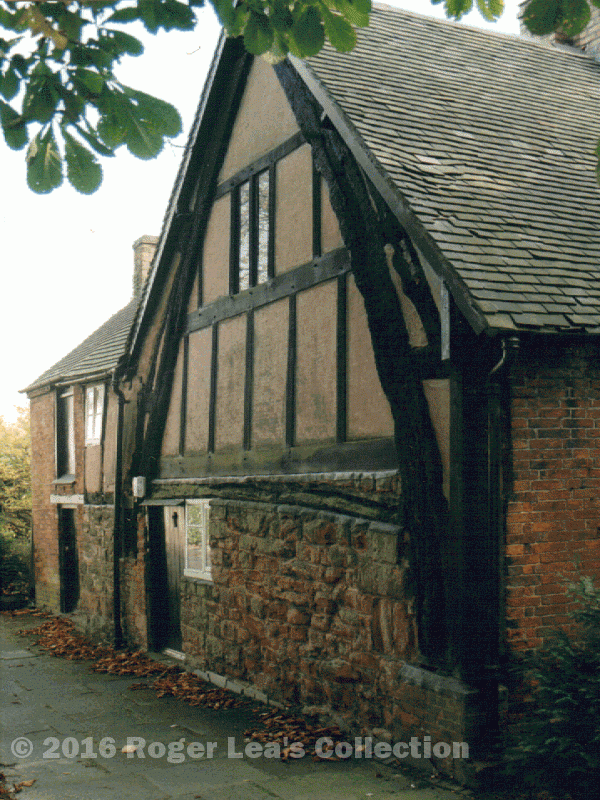 It now houses the Driffold Gallery, and was the Borough Museum of Sutton Coldfield until 1974. The small museum opened in 1962, and included a collection of items bequeathed to the corporation by Miss Newbold, who had lived at the Smithy and collected some antiques in keeping with her cottage. Miss Newbold was the tenant of the Smithy in the late 1940s, when the owners, Emmanuel College, Cambridge, intended to demolish it to make way for a more profitable development. Local people were determined to save the Smithy, however, and eventually it was acquired by Sutton Corporation, Miss Newbold remaining as the tenant until 1961. Miss Newbold believed her cottage had once been the home of a blacksmith, Walter Holdnall. The Emmanuel College records show that the cottage and blacksmith’s shop were leased to the Davises of the Horse and Jockey in 1846, who sub-let it to George Hearnshaw; in 1856 it was described as a house, lean-to and wheelwright’s shop. The previous College lease, of 1824, had been to Francis Hearnshaw, a millwright of Sutton Coldfield. The lease included the cottage and blacksmith’s shop and the land bounded by Church Lane, the Driffold and Birmingham Road - a three-quarter-acre plot of land called the Roundabout. The Smithy was Francis Hearnshaws farmhouse - he was a farmer of 52 acres as well as a millwright - and John Smith, who had the lease in 1764 was also a farmer, but the lease shows that he must have doubled up as a blacksmith, as there was a newly-erected blacksmith’s shop adjoining the cottage then. Emmanuel College acquired the Smithy in 1593 as part of a much larger estate which previously belonged to Simon Perrott who lived in Maney Hall on the opposite side of the road. Perrott had acquired the estate in 1581 from Walter Harecourt of Tamworth, and it is in a Harecourt lease of 1577 that the earliest written record of the Smithy occurs. The cottage (which was already over 100 years old) was then occupied by Thurstanes Lowe, a carpenter - one of a long succession of craftsmen to live there. The rear of The Smithy, showing the massive timber cruck and the ancient stonework.